On your wedding day its not only hair and make up you need. 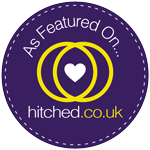 I have hand picked some little extras you may like on or in preparation to your special day. All of these services are supplied with the highest level of professionalism, the only standard you should expect! For an Immaculate vintage VW camper to take you to and from your wedding venue please contact Michael on 07730567413 for more details. For perfect Shellac nails for you and your bridal party please contact Jessica Fox on 07776434345 for more details. To make your skin look and feel radiant in preparation for your big day please visit www.exclusiveskincare.co.uk For the full Dermalogica range. Enter Sitting Petty at the checkout stage to receive an extra 5% off! !